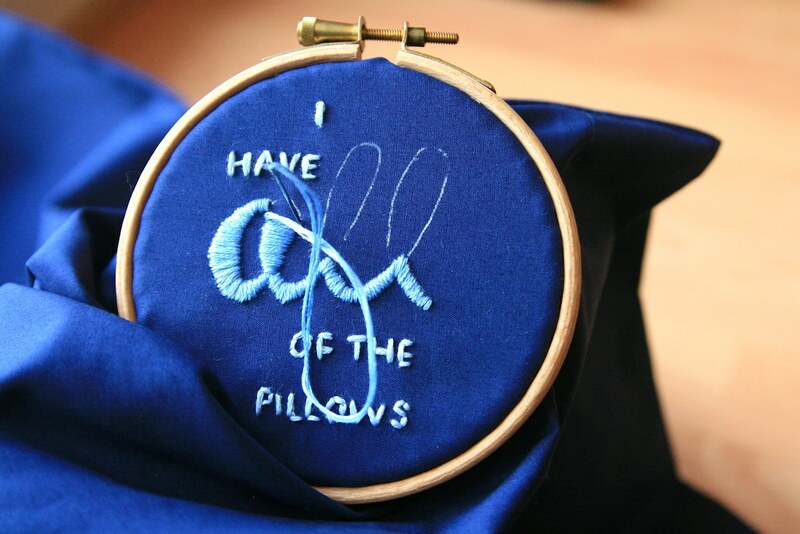 I'll be honest: I'm not the most experienced embroiderer in the world, but when I decided to give the Man a couple of pillow cases for his birthday, I wanted to personalise them and a bit of stitching seemed to be the answer! 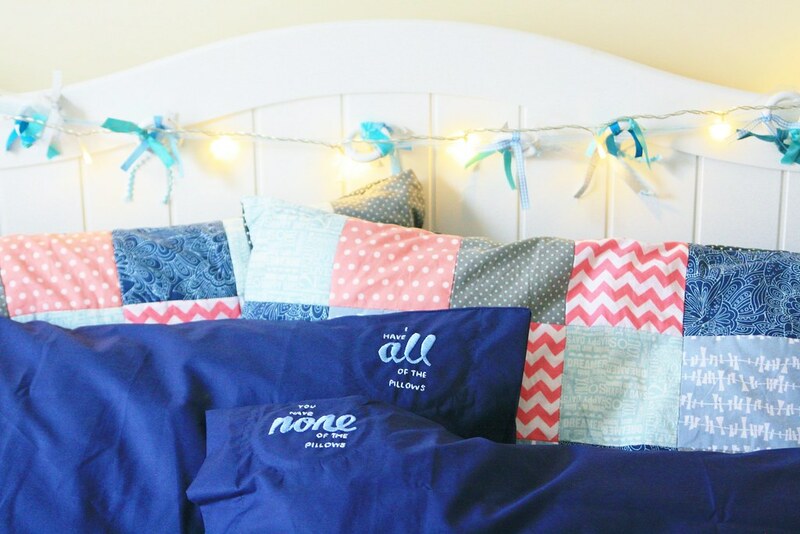 If pillow cases sounds like an odd present, I will say that firstly, they were a bit of an in-joke to go with his real gift, secondly, I gave him the pillows to go inside as well, and thirdly that we use them all the time. Winning! 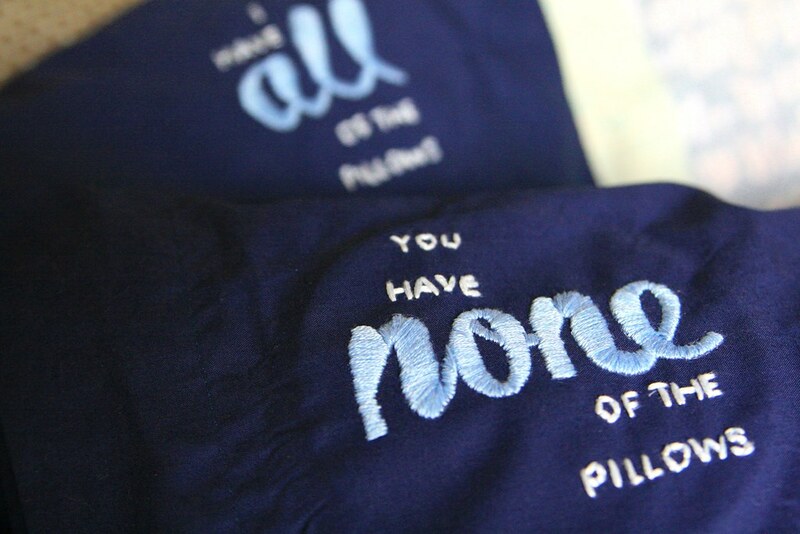 In fact, I'm really pleased with how they turned out, and I would definitely do this again. They make great gifts, with a handcrafted, personal touch, and would be lovely for Christmas, birthdays, or even weddings. 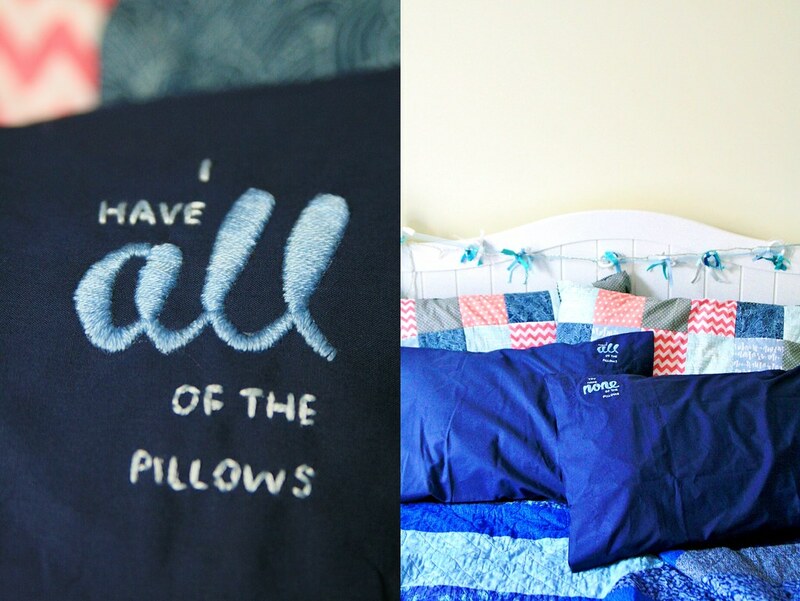 I started off writing little templates of the words I wanted to embroider onto each pillow. 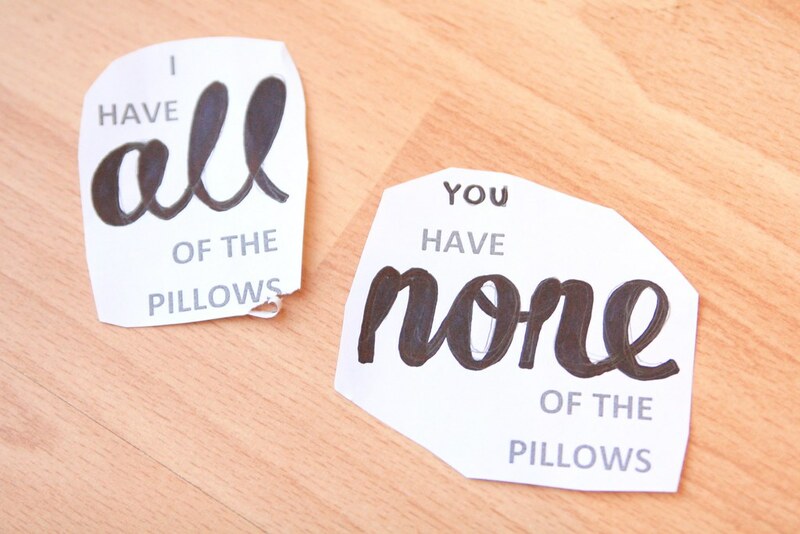 When I was happy, I cut out the templates, and washi-taped them in place on the inside of the pillow case. 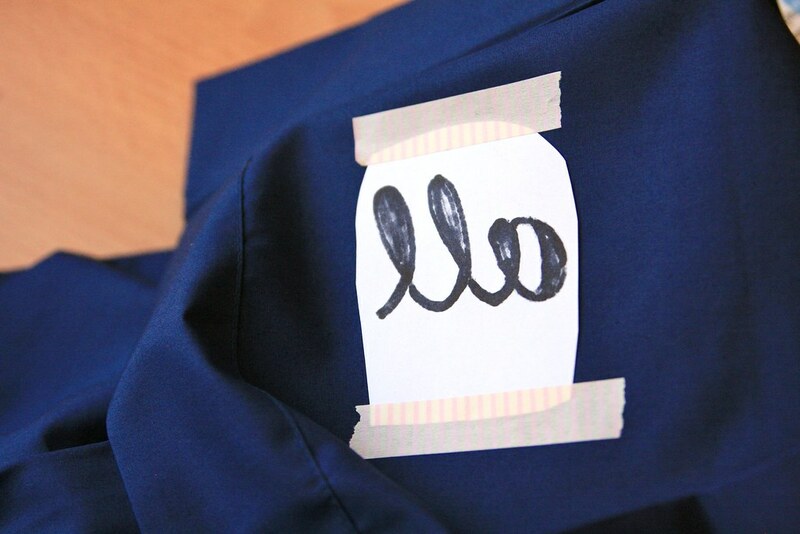 I believe this is not a traditional embroidery technique, but it worked, and the washi tape peeled off without leaving a mark. 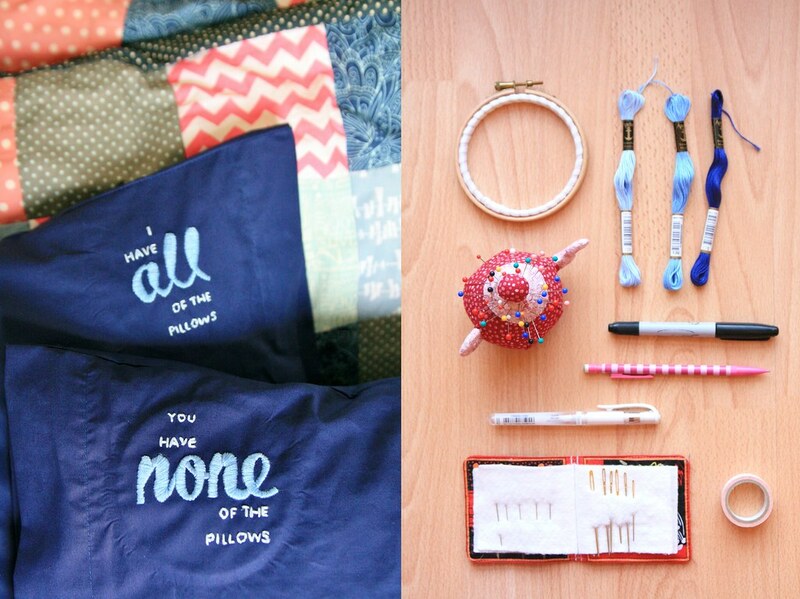 Are you hand-making any gifts this Christmas? P.S. This post is part of a series connected to Journal Your Christmas, an online class run by Shimelle with a focus on capturing Christmas memories. Tonight it's off to my Guide unit and we've got a Christmas craft in store!